There is nothing more satisfying than a cold beer on a warm day! Blue Line is the perfect place to come relax and enjoy some of our specialty spring and summer beers on tap. 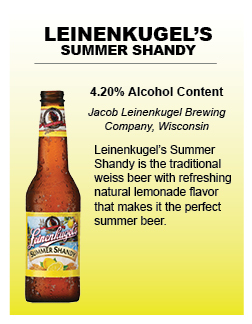 Leinie’s Summer Shandy is the perfect summer beer with natural lemonade flavors and a refreshing finish. Toppling Goliath Pseudo Sue Pale Ale is a unique choice with ferocious flavors of grapefruit, citrus, mango, and evergreen. The mild bite at the end will have you thirsty for more! Leinie’s Honey Weiss The sweet, subtle flavors of this beer pair well your favorite food from the grill. 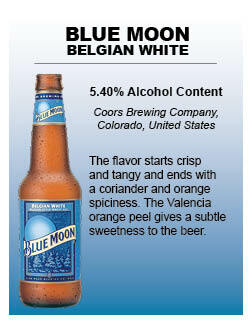 Blue Moon Belgian White A crisp and tangy choice, this beer will reveal the sweetness of orange and flavors of coriander. 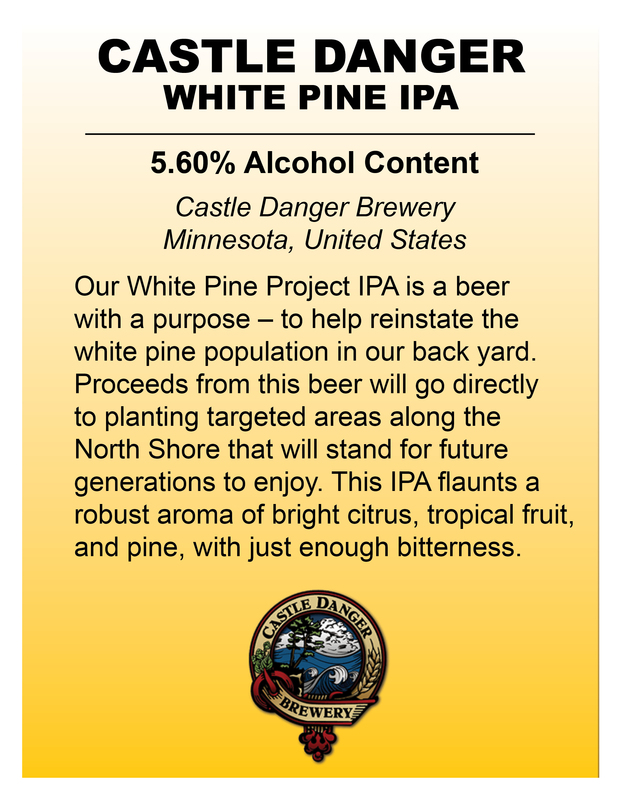 Castle Danger White Pine IPA has a robust aroma of tropical fruit, bright citrus, and pine. Proceeds of this beer go directly towards replanting white pines along targeted areas of the North Shore. A beer that does good and tastes really good! 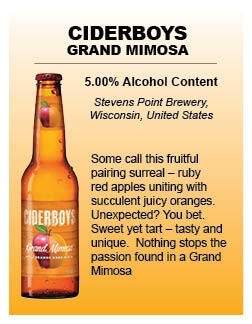 Ciderboys Grand Mimosa is a hard cider that doesn’t compare apples to oranges, it features them both beautifully in a sweet and tart medley. 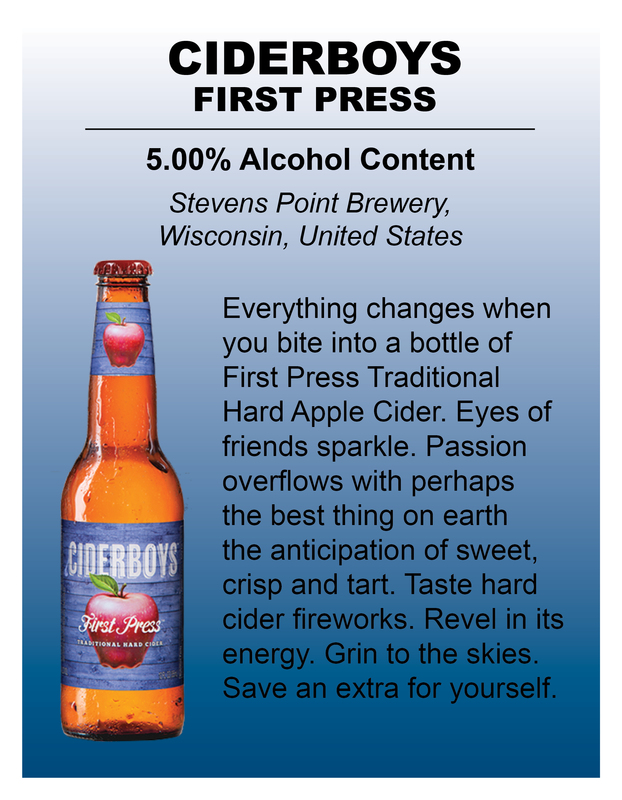 Ciderboys First Press is a popular hard cider that is flavored with apple to be sweet, crispy, and tart. This is one you just can’t go wrong with. Beaver Island Tangerine American Wheat is described as sunshine in a glass! This refreshing choice tastes like a classic spiked with tangerine. 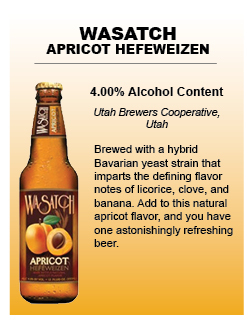 Wasatch Apricot will surprise you will all of its unique flavors. Taste licorice, clove, and banana all mingle with the natural apricot flavor of this highly refreshing summer beer. There is no shortage of spring and summer beers to try while having fun at Blue Line. Stop in with your friends or family this weekend for a great time! Note: Beer selection is subject to change based on availability. First the important news: Scott’s a grandpa! Stop by and say congrats, and remind him that this is the first official sign of old age. Now the shameful admission: We lied a tiny little bit. Yes, Benny won the cook-off… but we actually had two winners. The BBQ Pulled Pork Melt is amazing, but equally mind-blowing, equally innovative, and equally Blue Line Exclusive is the new Pickle Roll-Up Burger! We just couldn’t choose a winner between these two. Pickle Roll-Ups, or “Lutheran Sushi”, is classic Midwestern fare that Marissa has translated to burger form. Our char-broiled hand patty burger on a fresh bakery bun is perfectly accompanied by a healthy dollop of cream cheese, smoked ham, and pickles. When paired with a side of hand-dipped cheese curds - also new to the Blue Line menu! - it’s the perfect Packer meal. Or pregnancy meal, as Little Scotty Jr. can attest to. Check out the full meal in the video below, and let us know which of the two winning meals you’re most excited to try!